Dustin Lynch at The Stage Sun 6/12!!! 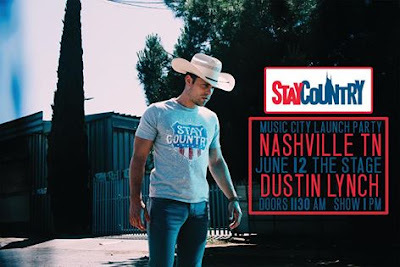 Dustin Lynch will be performing a free show at The Stage on Broadway During the 2016 CMA Music Festival on Sunday June 12. Doors open at 11:30 am and the show starts at 1 pm! Line up early as this is likely to be packed!! !